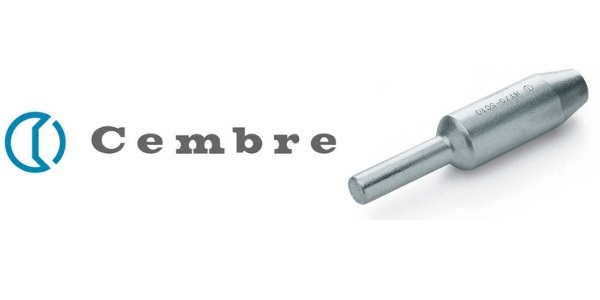 Cembre MT-C series connectors are high voltage stalk connectors designed for high voltage connection applications up to 11kV/33 kV – the stalk type electrical connectors with pin design are manufactured by Cembre from high purity copper, annealed and tin plated. 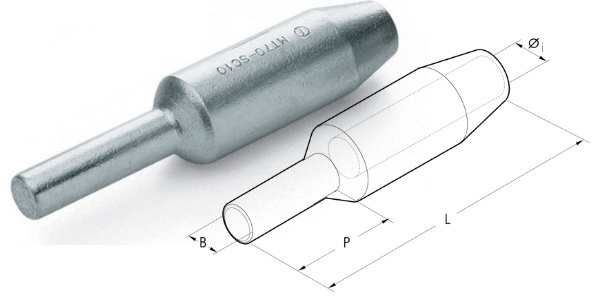 The extended copper barrel enhances both electrical and mechanical performance while the stalk or pin ensures these electrical connectors are suitable for terminating conductors into contact blocks up to 300sqmm. Conductor format and construction – for correct crimping tools and die sets please contact Thorne & Derrick Sales. ♦ BS6360:1991 Specification For Conductors In Insulated Cables & Cords has been Withdrawn and Replaced by BS EN 60228:2005 Conductors Of Insulated Cables – for specification and technical guidance with respect to BS7609 please our Blog about crimping cables to British Standards. Complete range of Cembre connectors to enable to connection, splicing, jointing and termination of LV Low Voltage, MV Medium Voltage and HV High Voltage cables into medium/high voltage electrical equipment including enclosures, cable boxes, switchgear and transformers up to 33kV – this incliudes single hole, 2 hole and 4 hole transformer cable lugs.